This book was truly amazing. This new series is what Jim Butcher was born to write. While the synopsis might lead one to believe that Captain Grimm is the main character, there are a multitude of different people that make up the main force of protagonists, all very different. Every character introduced has a great level of depth and backstory. I really enjoy that this book series has multiple main characters that grow as the story progresses. Given the amount of main characters, a reader is bound to resonate with one, while the majority are all likable (except, of course, the antagonist). This is truly a coming of age story from the perspective of several different characters, though Grimm and his crew do play a large part in the overall plot. While some characters are learning how to live in the adult world, others are learning how to deal with problems from their pasts, and all work in conjunction together, despite their apparent honorable or dishonorable ranking. 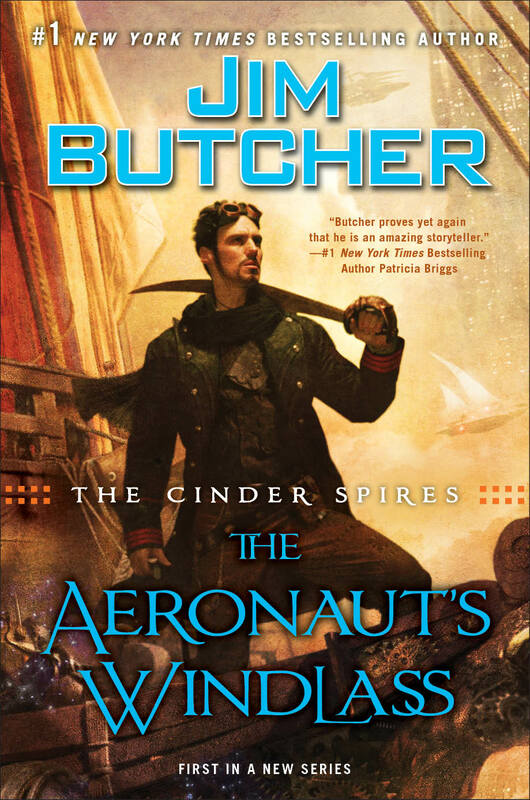 I will say that this book, while labeled “steampunk”, really doesn’t have any steampunk elements in it, unless you count the air ships (which the main one mentioned, it can be noted, does not run off steam). That being said, I think this is a brilliant piece of fantasy in a wonderful imaginative new world, and I cannot wait to see what happens to everyone as they reach the end.